Delta Lake is one of the smaller lake campgrounds south west of the Adirondack Park, bordered by forest and is great for a quieter waterside camping experience while offering various activities nearby. 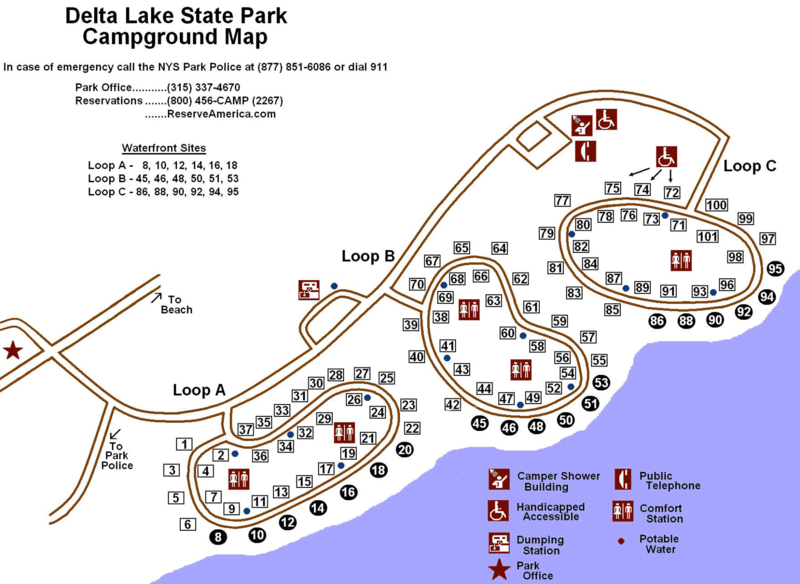 Delta Lake Campground is locate just north of Rome, NY. Delta lake offers 101 campsites, of which 20 are directly on the water. All site are now electric. Activities include swimming, boating, fishing, bicycling, and hiking. 4 out of 5 lakeside stars. 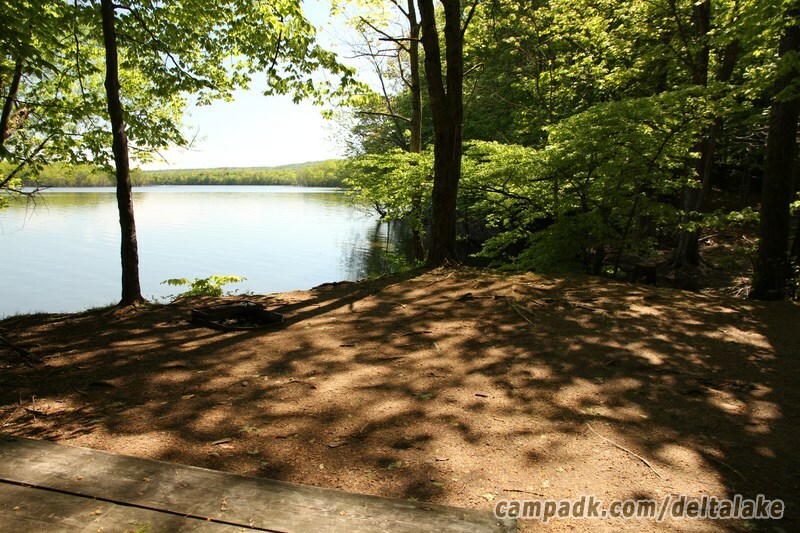 Offers a fine lakeside camping experience with sites close, or directly by the wate. 20 campsites are directly by the water. The campground is located directly on the shores of a medium sized lake for enjoying water activities including swimming, paddling, boating and fishing. Note! The Weather frame below is for the Weather Underground site. This frame is provided for your convenience only. You might wish to open a separate window/tab instead to view Delta Lake weather in more detail. Note! The Weather frame above is for the Weather Underground site. This frame is provided for your convenience only. You might wish to open a separate window/tab instead to view Delta Lake weather in more detail. Note these comments are NOT particular to a specific campsite at Delta Lake !